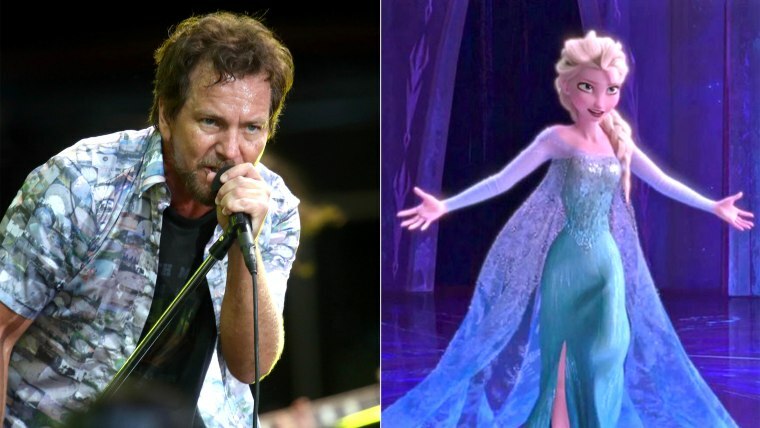 Even Eddie Vedder can't resist the pop-culture power of Disney's "Frozen." Just like all of those viral video dads who can't get enough of the music from the megahit, the rocker and father of two young girls embraced his inner Snow Queen and belted out "Let It Go" at a recent Pearl Jam show. It happened during a Friday performance in Milan, Italy. The band transitioned from their hit song "Daughter" right into a few bars from "Frozen's" Oscar-winning anthem — and back again. Watch Vedder "turn away and slam the door" in the clip. Pearl Jam's European tour will continue through the middle of July; the band kicks off their U.S. tour in October.